There is nothing sweeter for retired boomers and seniors than living in the community of Carmel, Indiana. For Carmel residents, it is no surprise that their city of was named #1 Best Place to live by Money Magazine. The population of Carmel is approximately 80,000 residents. However, the small Old Town District has evolved into a hub of vibrant art galleries, boutiques and restaurants. Stroll down the brick sidewalks and go back in time with the fountains, unique street lights, and strategically placed street sculptures. >Arts and Design District– If you are an arts aficionado, the Arts and Design district offers a broad range of art galleries. In addition, are some fun antique and boutique stores nestled between quaint restaurants. The reputation of the Carmel Art & Design District is now considered a “prime artist” community in the state of Indiana. >A world class Center for Performing Arts was added to the Carmel landscape in 2011. The Palladium, a 1,600-seat concert venue, has already hosted an array of local , national, and world renowned concerts and musical performances. > Play golf at the upscale Bridgewater Club. Bridgewater offers an 18-hole championship course along with a beautiful clubhouse. A Pete Dye course that has hosted golf championships is also an option. Crooked Stick offers a superb design and a quaint clubhouse. >Entertain the grandchildren at the Children’s Art Gallery, The Monon Aquatic Center, Museum of Miniatures, or the Coxhall Gardens. >Engage with your peers at PrimeLife Enrichment (PLE). PLE is a private organization dedicated to enhance the quality of life of boomers and seniors. Programs include health education, community outreach, aquatic, and exercise programs. When re-locating to a new community, it is important to be surrounded by reputable health care facilities. Two of the top Indiana cardiac programs are housed at the St. Vincent Heart Center. According to a Healthgrades study, St. Vincent is ranked in the top 10 percent nationally for cardiology and coronary inventions. In addition to St Vincent Hospital, there is close to fifty other health care providers in the Carmel community. Carmel offers two distinct choices for senior living. The Stratford at Carmel is a premier retirement community that offers all levels of care. Stratford’s premier dining services as well as their fitness center are all a part of this elegant community. Coming soon to the Carmel community is the only continuing care retirement community. The Barrington of Carmel offers a new lifestyle concept for seniors. The community offers a maintenance free lifestyle along with a life care program that offers a sense of community when it comes to future health care needs. Carmel, Indiana has a low crime rate along with a professional police and fire department. It is a bedroom community to Indianapolis. Indianapolis also known as “Indy,” is known throughout the world for the greatest spectacle in auto racing (Indianapolis 500). 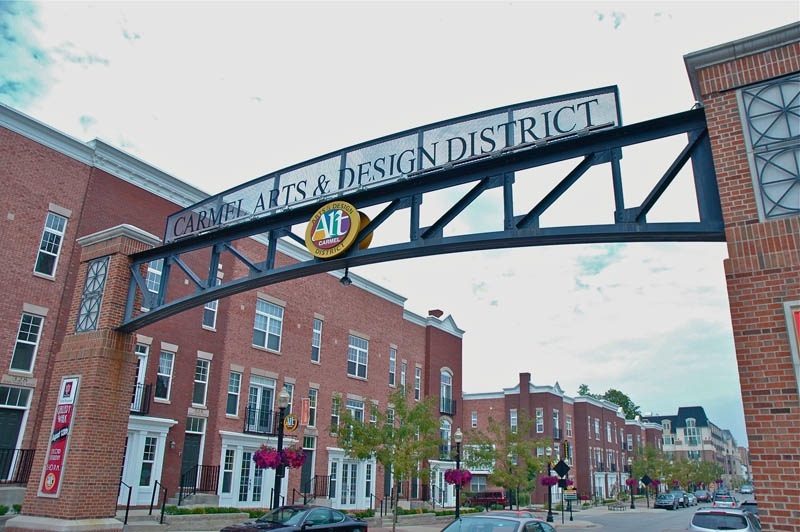 The city of Carmel, Indiana offers an artsy, affordable and enriching lifestyle. Come to Carmel and join a community of young professionals, families and seniors. I expect you will continue to see Carmel, Indiana’s on Money Magazine’s Best Places to Live.